Our dear mother Adrienne passed away at the Foyer Richelieu on February 6, 2019 in her 91st year. She has gone to join the love of her life, her beloved husband Leopold (2008). Cherished mother of Robert (Celine), the late Normand (2007) (Grace), Jacques (Christine), Denis (Diane) and Lynn (Dennis Balogh). 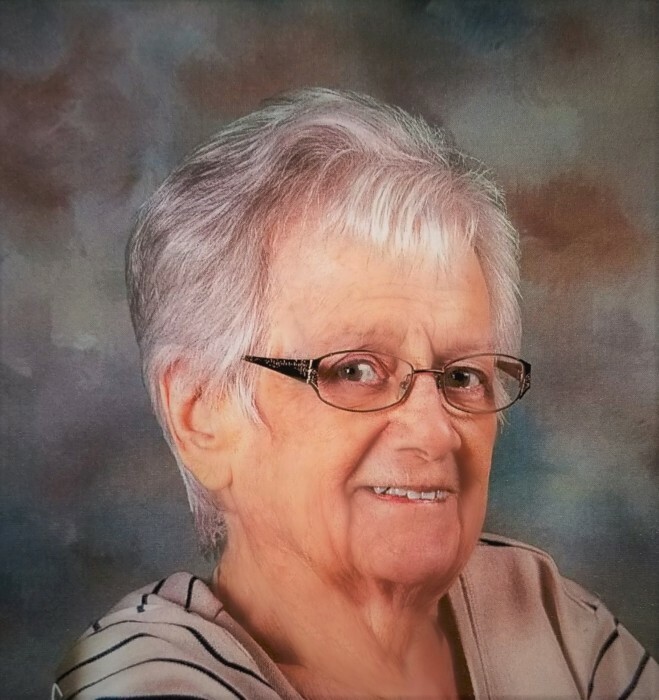 She will sadly be missed by her sisters Carmelle Metivier of Quebec and Jacqueline Lareau of Welland. Adrienne will be sadly missed by her grandchildren; Michael, Rick, Jennifer, Dawna, Derek and Denny & 7 great-grandchildren. Mrs. Brochu was predeceased by her parents Eugene and Alice Fradette, sisters; Germaine Tisi, Anita Fournier, Juliette Poulin and Laurette Leclerc. In accordance with Adrienne’s wishes cremation has taken place. The family will receive their family and friends at the WELLAND FUNERAL HOME 827 East Main Street, on Tuesday, February 12th, from 10 a.m. until service time at noon in the funeral home chapel. As an expression of sympathy donations can be made to Foyer Richelieu or Église Sacré-Coeur. A private interment at Holy Cross Cemetery will be held at a later date.